WOOP-WOOP! That’s the sound of the Caprice! If you have recently passed by a police-sanctioned sedan, then chances are it was one of two vehicles: the Dodge Charger or the Chevrolet Caprice. And while many drivers cruise around in a Charger, you won’t find many behind the wheel of the Caprice. Still, you might be seeing that rare sight a little more often now that used models of the Caprice is starting to be sold nationwide. The Chevrolet Caprice PPV (short for Police Pursuit Vehicle) is based upon the Australian Holden Statesman. Much like the recently-discontinued Chevrolet SS, which is also based on a Holden vehicle, the Caprice is becoming much harder to find, even at your local police department. 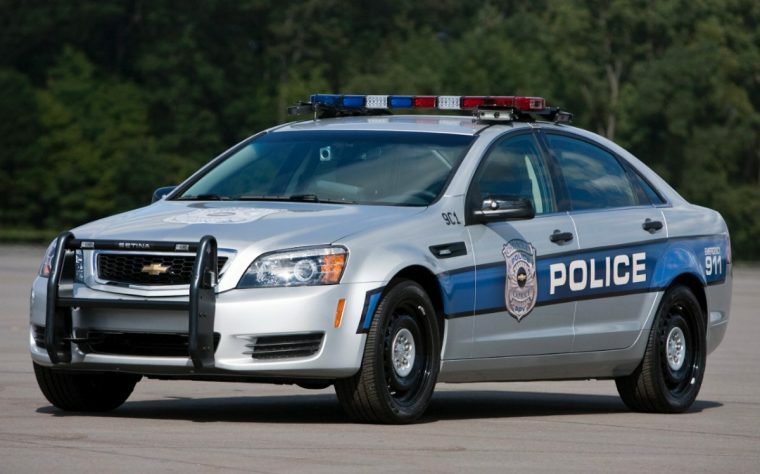 With many law enforcement agencies trading out old patrol cars for newer models, several used editions of the Caprice have begun to pop up on websites like Autotrader. Their numbers currently don’t surpass more than a few dozen at a time, but more Caprice vehicles might just begin to appear as the months roll along. Another great place to start looking for these sedans is at your local municipal auction. Depending on the winning bid, you can get this model for quite a steal (but not by actually stealing, as the police would certainly frown upon such behavior). The Caprice PPV was built with one of two engines: a 3.6-liter V6 or a more powerful 6.0-liter V8. The vehicle also uses an intricate rear-drive system. Before you get any ideas about activating sirens to avoid traffic, just remember that most police equipment is removed before any of these Caprices are sold.